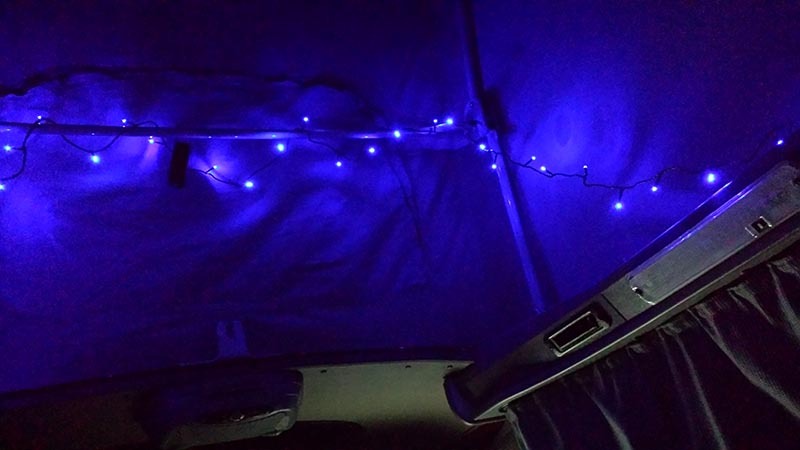 We had owned the camper for about six months and found that the standard lighting wasn’t ideal for relaxing and watching the TV. 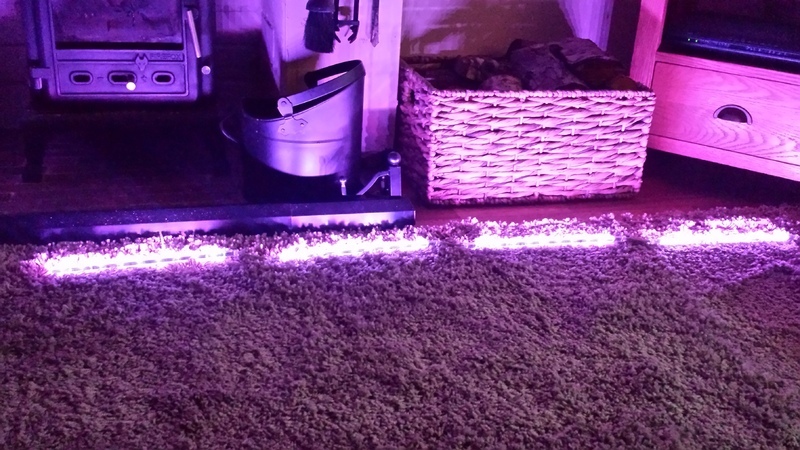 So we bought a small battery powered set of Christmas lights which created a nice ambient light source. However, these had to be positioned every time we wanted to use them and this was proving a tad inconvenient. 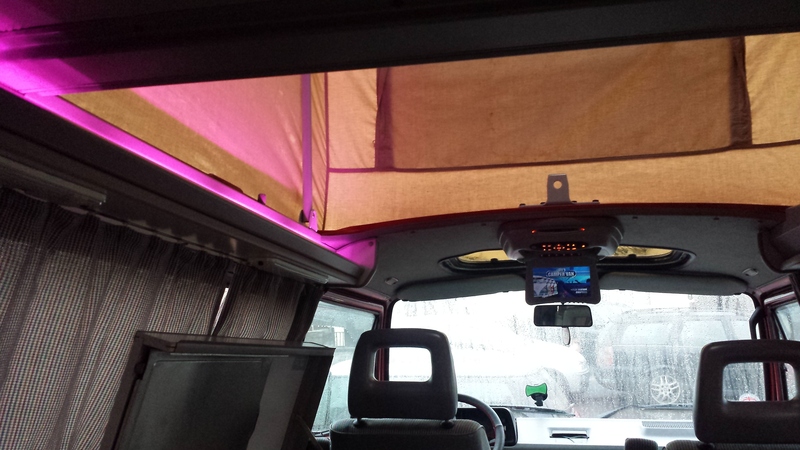 At one of the previous local campervan meetings I had seen a van that had some mood lighting in the rail on the left of the van. This was just what I was looking for. On a trip to IKEA I spotted some strip lighting that looked like it would fit the bill. It came with a controller pack which allowed the selection of specific colours or disco modes.